TrekMD from RVG has informed the retro gaming community of a new homebrew arcade platformer that is currently in development for the Sega Genesis/Megadrive. 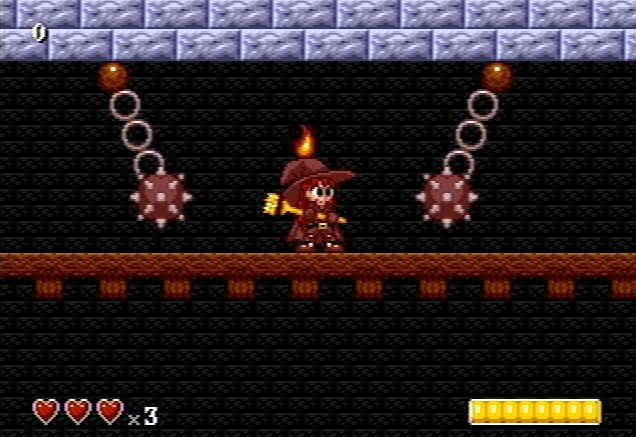 Developed by 'Sik' and titled Dragon's Castle, this looks to be a 2D side scrolling game where you play as a Witchy hero armed with a hard hitting broom that has to avoid traps and deadly enemies such as ghosts and spiders, while also trying to reach each exit. Currently the game is in a very early work in progress stage, but does feature two way scrolling, large sprites, working slopes and some simple water raster effects without CRAM dots. But the developer has released a downloadable rom so even you can give the game ago, just don't expect to be playing the same alpha game now as you will be when it's released.